last year i hosted this little series called my favorite things. kinda like oprah's favorite things, only better... obviously. handmade items, gifts, and treasures that i am extremely fond of and highly recommend you to purchase. this year i am bringing it back, every monday in december you will hear about one of my favorite shops - whose products i own and love. and they are giving something away for you. yes, that's right. you. let's kick things off with my beautiful friend aly, and her lovely shop, blossom and vine. hi! i'm aly. i'm a work-from-home mom of a 2.5 year old daughter and i've got another baby girl making her debut in 9 short weeks. my husband and i are high school sweethearts and have been married 6 years. we live in southern california where he's a football coach and i do my best to try to keep the house clean. i love Jesus, writing , target, singing... and i might be addicted to starbucks coffee. i also love to get my craft on and sell some of the pretty things i make. my handmade business venture actually started in 2009 a few months after my daughter was born. i started making headbands for her and after a thousand different friends recommended i open an etsy shop and start selling them, i did! i have to admit, i'm a little embarrassed to look back at some of my first "designs", but my product line evolved quickly as my creativity grew. that first year was such a blessing for our family. while living with my inlaws for nine months, in the process of buying our house, i was able to pay off our car, pay for some of the upgrades in our home and do a few other fun things. the night before we moved into our new house, i closed up the etsy shop knowing that i wouldn't be able to manage a home and the 8pm-2am "workdays". the break was so necessary, but i couldn't stay away for long. so i started selling DIY tutorials of some of the designs i had sold in my first shop. eventually i began to make things again, so i opened a new shop: Blossom & Vine , which is where you can find me now. it's stocked with ready-to-ship items: headbands, clips/brooches, and scripture prints of some of my favorite verses. i've also recently ventured into the world of hoop art and have lots of cute designs for sale. my new "business model" works perfectly for me: when i have some time to make things, i do, but i don't have to neglect my family and home to keep a business afloat. it's perfect for this season of our lives. i absolutely love sending beautiful things off to their new homes and love that i get to stay sane while doing so! [oh, and i still sell those DIY tutorials in case you're the crafty type. check out "Blossom & Vine DIY". extra entry: head on over to blossom and vine and let me know your favorite item. winner chosen by random.org and announced on thursday. Ooooh cute shop!!! Love her items. i love aly! was so fun meeting her at blog sugar. her stuff is amazing. just PERFECT. makes my stuff look very amateur. ha...did i just say that? my fave thing is the you are my sunshine hoop art. so much so that i bought it!!!! HOORAY. 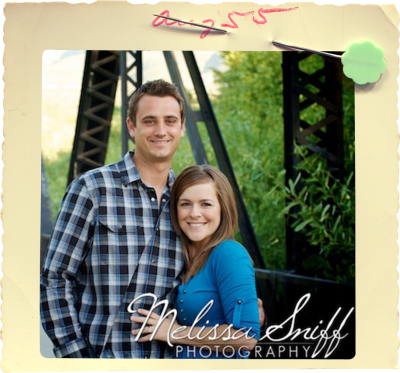 I love the idea of your shop and how spending time with your family/ taking care of them is your main concern! i love the "wonderfully made" print. would be perfect in our soon-to-arrive baby boy's nursery! The bloom hoop art in Coral is absolutely adorable! It would look get in my house or even a little girls room! LOVE it!!! How fun! I'm excited to see what goodies are your favorites! What great things and how inspiring to hear how a business run by a sahm can produce such a great income. I love the yellow posie baby headband. What a lovely shop. Thanks for introducing me to it. LOVE the You are My Sunshine hoop art. What a cute shop she has! LOVE! How wonderful that she has so many scripture prints for sale! :) My favorite item would be the choose 2 8x10 Scripture Prints! love the 6" hoop art of "you make me happy"
Love the "You are my Sunshine hoopart"! That is the song I always sing to my little girl. I absolutely love the "you make me happy" hoop art in rainbow colors. love the blossom hoop art!!! beautiful!! I love her shop! I'll have it to my Etsy favorites! I love the Solid Rock prints. That is one of my favorite hymns! I would love the doxology print. Thanks! so kind, aly! I want to be like you! Thanks dani for hosting!!! LOVING the blossom hoop art! you are so much better than oprah. i'm glad you brought my favorite things back! i love the peacock and purple wreath! I'm so excited to see your favourite things this month! Blossom & Vine is absolutely adorable - can't wait to see the rest!! I love Aly's style - I think my fave in her shop is the blossom hoop art. SO CUTE. i like the love is... prints! I love the "you make me happy" hoop art!! Actually I love a lot of things in this shop, that just might be my fav though. I would most definitely choose the 6 inch 'You are my Sunshine' hoope. SOOO cute! Love the giveaway and getting to hear how she started her shop! I love the "you are my sunshine" hoop art. Perfect for the nursery! love the blossom hoop art! so cute! the "you make me happy" hoop art is great! 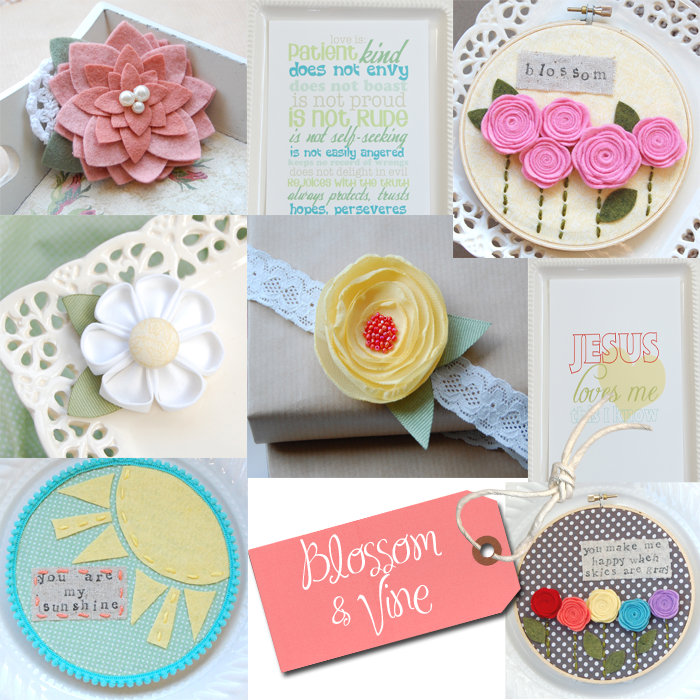 I love the Scripture prints and the "Blossom" hoop art. Love the new series! What a great idea! I love the doxology print in aqua! Such a pretty reminder! Thanks! Thanks for the giveaway. This is my first time here! I will be back! pretty aly. love her shop!! i love the you are my sunshine emb hoop art! and the yellow flower broach / hair clip! PICK ME! PICK ME pretty please! I love every picture! Such cute designs! Would love to win this giveaway! I love the green "posie" blossom for my little girl! ummm everything in her shop is so adorable. i think the 5 inch hoop art: "blossom" with pink felt rosettes is my fav item.